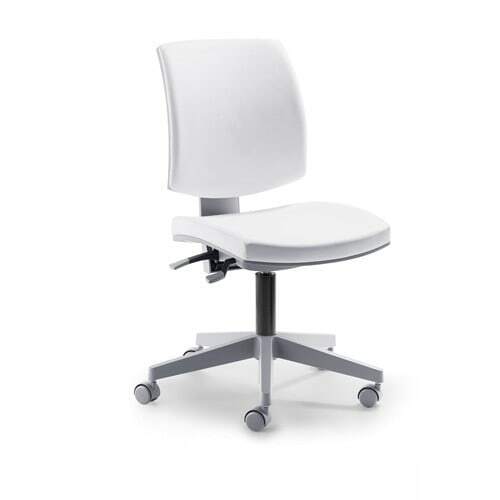 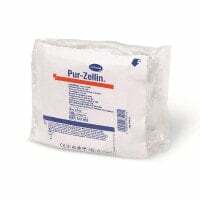 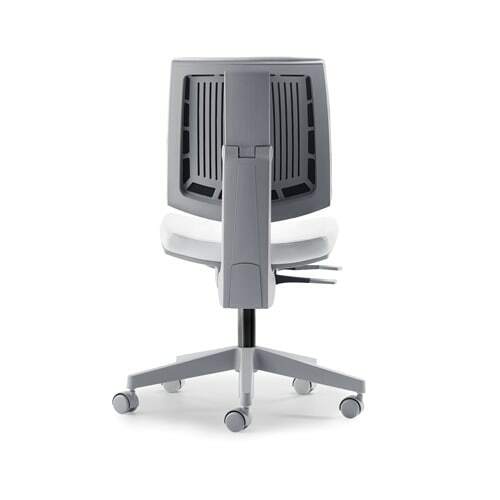 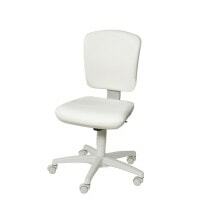 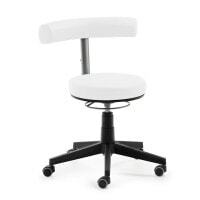 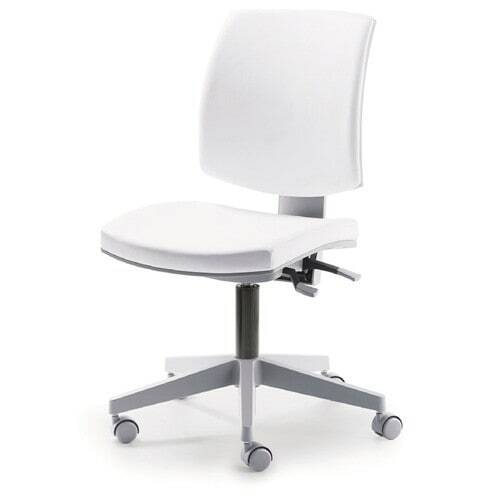 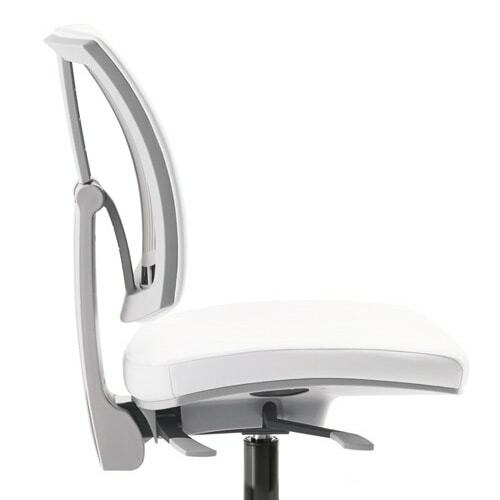 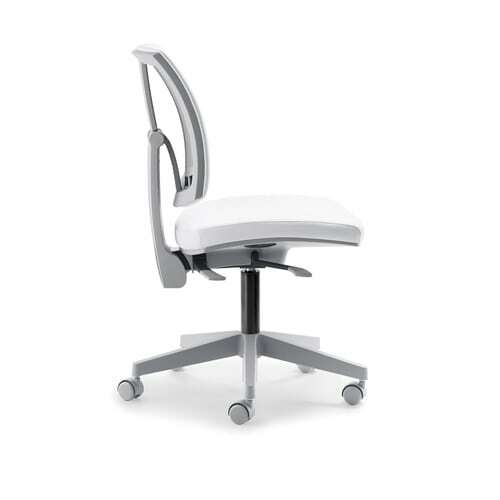 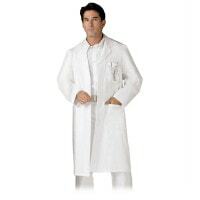 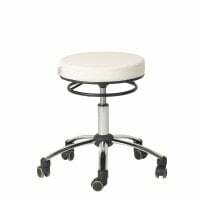 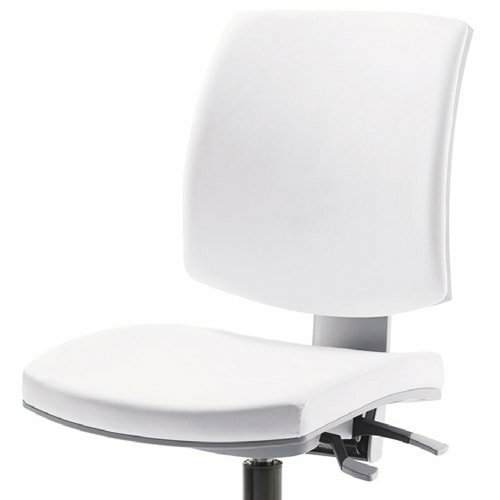 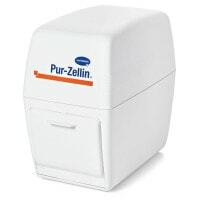 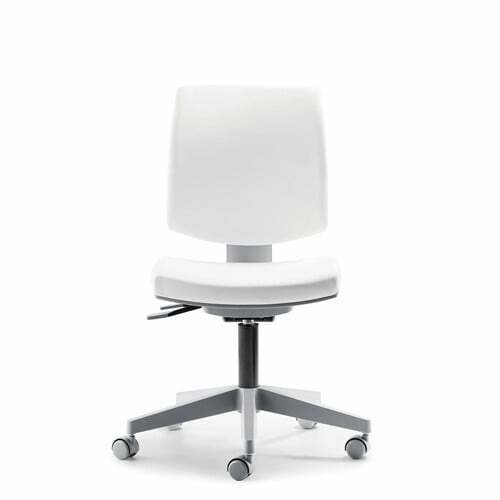 Comfortably cushioned, continuously height-adjustable swivel chair with white synthetic leather cover. 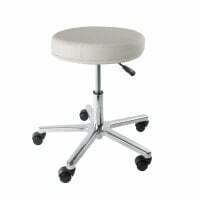 The universal castors allow the swivel chair to be used on any surface. The «MedSpezial» swivel chair features a seat/back depth adjustment that allows the back rest to be individually adjusted to the seated position.